Sweeten up your PANDORA bracelet with this heart motif clip. Crafted from sterling silver and an 18kt gold plating, this clip has also been adorned with clear cubic zirconia details. 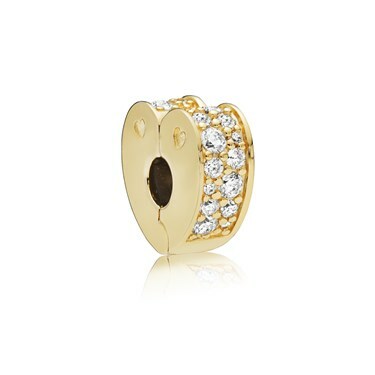 Perfect for making your favourite charms stand out, or adding a striking finish to your bracelet.